In the vaping industry, there is no question that 2018 was the year of the mesh coil. 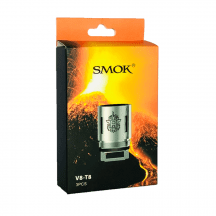 Just about every popular vaping tank has a mesh coil available, and you can bet that for any tank that has one, the mesh coil is the most popular option. What you might not know, though, is that the incredible Freemax Fireluke Mesh was the first sub-ohm tank on the market to offer mesh coils! In the vaping industry, there is no question that 2018 was the year of the mesh coil. 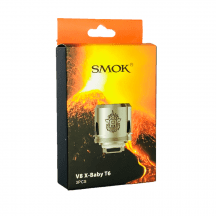 Just about every popular vaping tank has a mesh coil available, and you can bet that for any tank that has one, the mesh coil is the most popular option. What you might not know, though, is that the incredible Freemax Fireluke Mesh was the first sub-ohm tank on the market to offer mesh coils! Why have mesh coils taken off in such a big way? They’ve taken off because they’re better than traditional coils in every way! If you’re a long-term vaper, you know that coil surface area is the key to achieving bigger vapor clouds and bolder flavors. When you increase coil surface area, though, you usually get a corresponding increase in coil mass — which means that you need more wattage to drive the coil. A mesh coil replaces the traditional spring-shaped metal with thin metal mesh, spreading the coil’s material over a wider surface area. With a mesh coil, in other words, you get more surface area and less mass — huge clouds become possible with a low-wattage device. 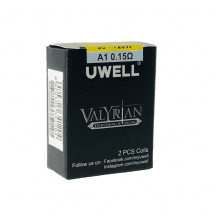 Compared to traditional vaping coils, mesh coils also have much better wick-to-metal contact. That means they last longer — and operate more quietly — than traditional coils. You can get your Freemax Fireluke Mesh coils right here. We guarantee that every coil we sell is authentic and direct from the manufacturer’s factory — and we ship all retail orders for free. 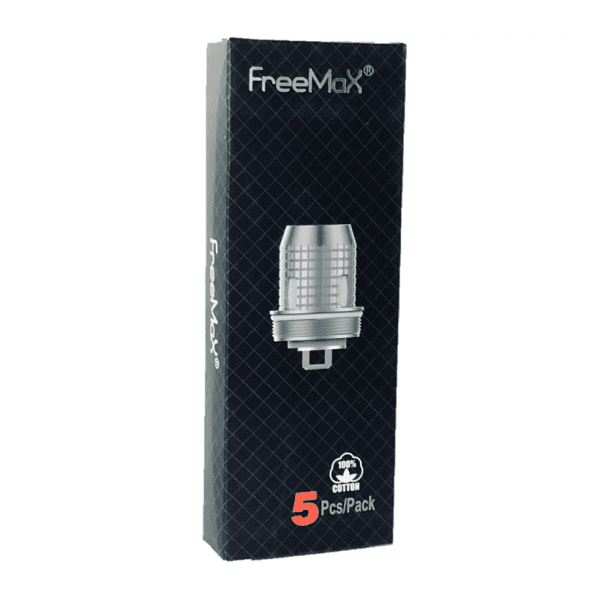 What’s Special About the Freemax Fireluke Mesh? It’s the first sub-ohm tank on the market with mesh coils. The world’s top current vaping trend originated right here! 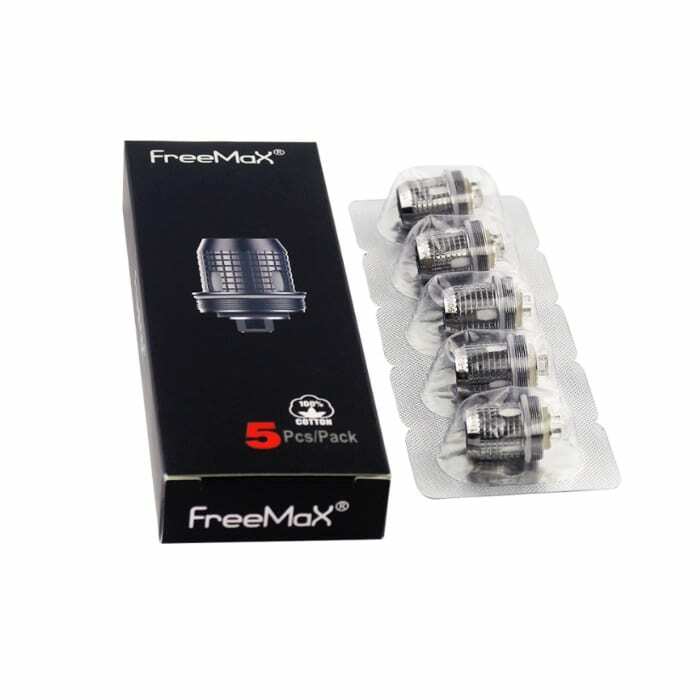 The Freemax Fireluke Mesh is designed for trouble-free operation. With big airflow holes and huge wick openings, this tank has no trouble keeping up with a quick vaping pace. Spend less on coils! With its great wick-to-wire contact, Freemax Fireluke Mesh coils don’t dry out during vaping like traditional coils. If you choose your e-liquids wisely and avoid juices with sucralose, you can expect your coils to keep their pure flavor for weeks. 0.15-ohm Mesh Coil: Suggested operating range of 40-90 watts. For direct-to-lung inhaling. 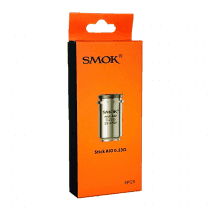 0.12-ohm SS316L Mesh Coil: Suggested operating range of 40-90 watts. Stainless steel coil for purer flavor and better durability. For direct-to-lung inhaling.